Alongside home accessories and baby things one of my shopping weaknesses has to be jewellery; whether it be old vintage finds or brand new jewellery spotted in-store or online. 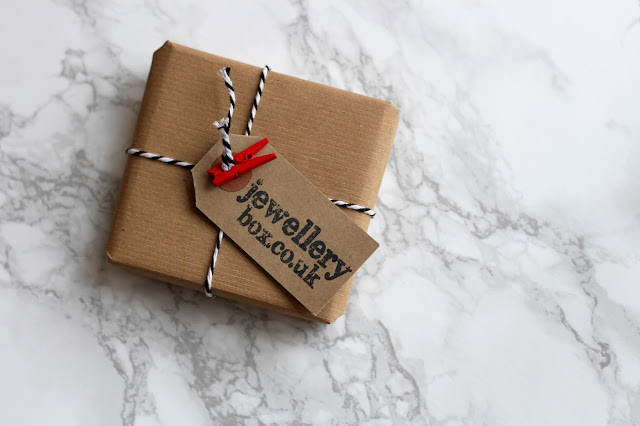 JewelleryBox.co.uk is a South London based online jewellery store that stocks reasonably priced gold and silver jewellery at what seem to be lower prices than you'd pay in high street stores. You can read more about them here. 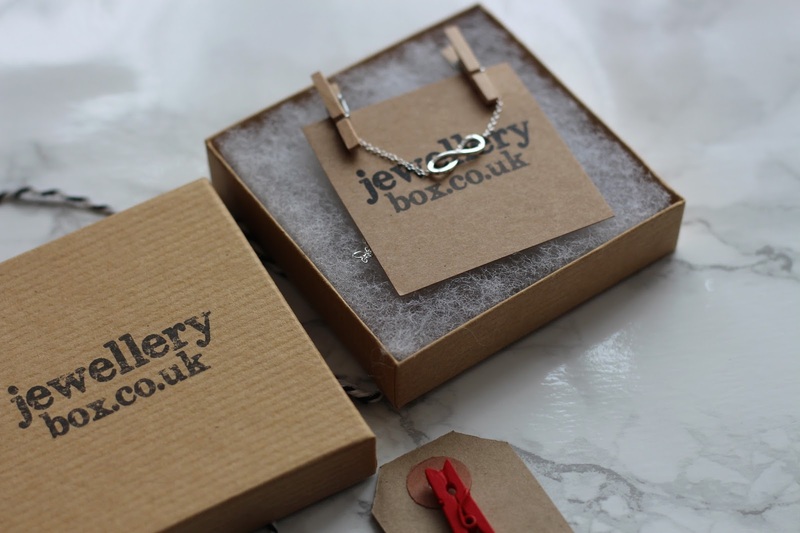 Their range of jewellery on the website is pretty impressive- from necklaces, bracelets, charms, anklets and rings. You need a piece of jewellery for day to day wear or a special occasion? They've probably got it and at a price a lot lower than visiting your local high street stores. I was given the opportunity to have a browse through the site and select an item to feature on my blog- I've already got a whole array of rings and necklaces so I decided to select a bracelet, something I could wear daily that would go with all outfits and look cute! 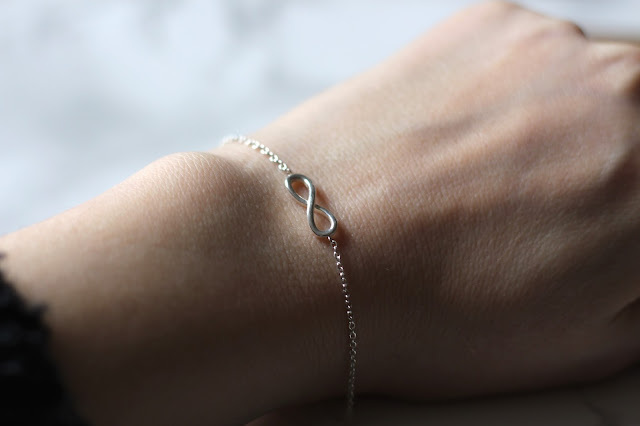 After having a browse through the bracelet section of the website I selected the Sterling Silver Infinity Bracelet. Before I get on to the bracelet itself look at the cuteness of the packaging.. the little pegs holding the jewellery in place on the hand stamped card all put together in a little box. Some love has definitely gone into making it feel special when you open your parcel. 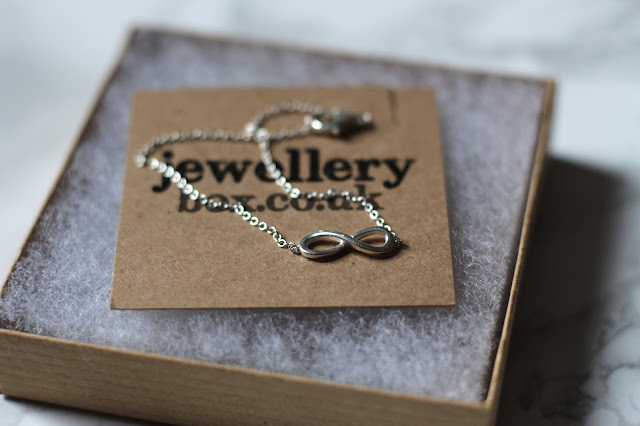 Having the infinity sign as jewellery is something that has been around for years and years; although primarily a mathematical symbol the infinity sign is said to represent 'forever' an undefinable amount of time which makes it perfect to give to friends and loved ones to represent your love for them. I love how delicate it looks when on my wrist, it just adds nice bit of detail to my outfits. I haven't taken this bracelet off since receiving it; I've worn it in the shower and also slept with it on too so although it looks dainty I've found it really hardwearing which is great. I'm really impressed with the quality of this bracelet when taking into account that it only costs £6.15 from the website- these would be ideal for favours for bridesmaids, a birthday gift for a loved one or even just a little treat for yourself. Check out Jewellerybox.co.uk for more reasonably priced jewellery items here. What do you think of my new bracelet? Is it something you'd like to receive as a gift? 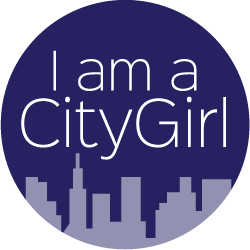 *I was gifted this item but as always my opinions are 100% honest about the product.